Health care costs continue to grow at average rates of about 15% per year. These growth rates are not affordable or sustainable in the budgets of most Minnesotans. Draz believes that personal choice and personal responsibility have been removed from our system, creating a government-driven momentum for health care price increases. Reduce government mandates. Minnesota government mandates on insurance companies and health care providers is costing Minnesotans in both the prices they pay for health care and the choices that they have in receiving it. We must eliminate many of these mandates in order to restore market forces, which will bring pricing integrity back to the system and will lower health care costs. Reform tort liability for health care providers. Doctors are people. They are not perfect. Although we have the very best health care system in the world, and health care providers work very hard to become even better, some mistakes are still made. The ability for people to become rich off of the health care system by suing doctors must stop. These costs are passed right on to consumers contributing to high health care costs. Health Savings Accounts. Most people and many businesses are not aware of the availability of health savings accounts as a tool for reducing the cost of their health care. We need to step up the education effort by introducing these to people. Health savings accounts help reduce health care expense by bringing personal responsibility into the equation. Elderly care and families. 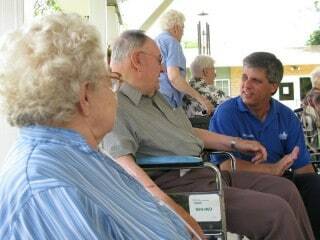 Any families would like to care for their elderly parents, but most cannot afford to. Under the contemporary practice of placing the elderly into assisted living facilities or nursing homes, care of the elderly is very expensive for families. We need to encourage families to care for their elderly parents by adjusting policies to provide incentives to do so. These incentives may include, but would not be limited to providing tax incentives and reforming rules for the distribution of government payments dedicated to elder care so that families can be paid for the care they provide to their elderly parents.